Myanmar is one of the poorest nations in Southeast Asia, suffering from decades of stagnation, mismanagement and isolation. It has recently transitioned from military dictatorship to civilian rule, with the first general elections for 20 years held in 2010. A largely rural, densely-forested country, Myanmar has natural resources, but the masses are not yet benefiting from these resources. Ethnic conflicts and inter-communal violence continue to plague the mostly rural nation. Over 3.4 million people live below the poverty line on less than $1.90 (£1.40) a day. This is particularly prevalent in rural areas where 65% of the population are based. In these regions, the level of poverty is almost twice as high. A quarter of the country’s economy is based on agriculture yet families remain malnourished. Food insecurity combined with difficult access to health facilities are placing the lives of locals in crisis. What’s more, recurring violence remains a leading cause of instability. Over a million people are internally displaced, with hundreds of thousands more seeking refuge in neighbouring countries. Affected communities are on the move and in need of humanitarian assistance, including food, shelter and medical care. Islamic Relief has worked with the Rohingya community from Rakhine State throughout various crises, constructing an entire village for 10,000 unregistered Rohingya refugees in 2008 in Teknaf, on the Bangladesh-Myanmar border. In 2008, when Cyclone Nargis devastated Myanmar, we distributed food parcels, emergency shelter, hygiene kits and water to thousands of families. We didn’t stop there, we also helped communities get back on their feet by building new homes, reconstructing schools and supporting farmers and fishers to get their livelihoods back. Following outbreaks of violence, Islamic Relief has been responding to the needs of displaced families in Rakhine State. 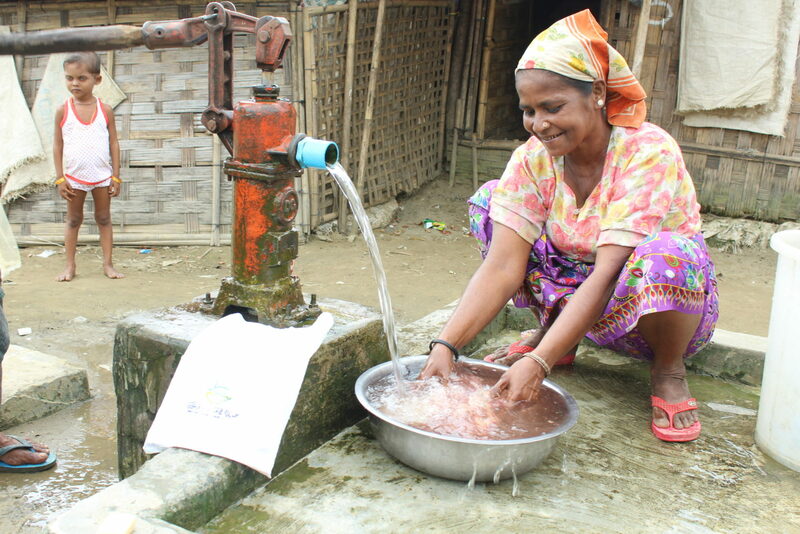 We’ve distributed emergency food, constructed shelters and improved the sanitation facilities through the construction of latrines in camps near Sittwe Township. We gave relocated refugees – many of whom had been sleeping along river banks and on the roadside – a safe place to live and basic facilities, without threat to their health and security. 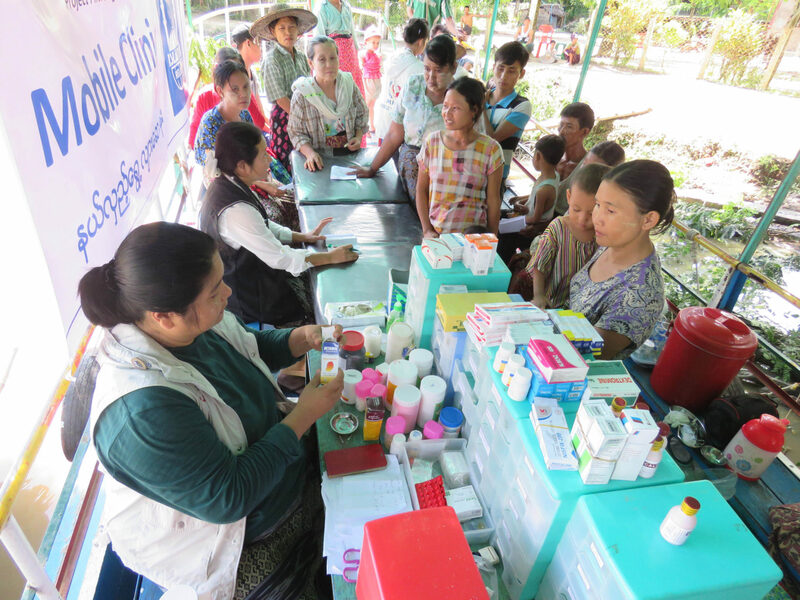 We are providing mobile health clinics for families in Ayeyarwadi and have been refurbishing schools in Northern Rakhine State. Additionally, in light of the recent spate of violence, we are offering ongoing emergency and long-term support. As part of our emergency work in the region, we are assisting displaced and refugee families, providing vulnerable individuals with medical care and shelter.